The Natural Gear Blind bag is the perfect go-to bag for days in the blind. 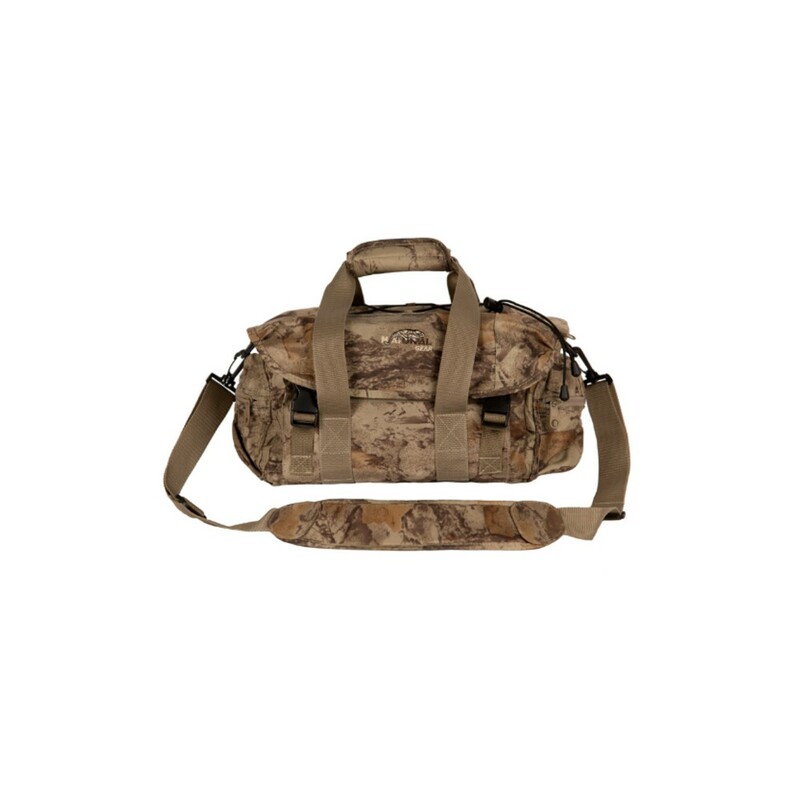 This waterfowl hunting bag is a practical medium size that has plenty of room for all your hunting gear and waterfowl tools. Built to last with sturdy PVC back 600D material you don’t have to worry about tears or water damage. Additional features include a primary storage area that is equipped with two inner mesh stash pockets and transparent mesh storage pouch. The exterior of the bag features a zippered stowaway pocket on each end, accessory pockets on front and back and an adjustable padded shoulder straps for custom fit. This is a must-have item for your waterfowl hunting collection.